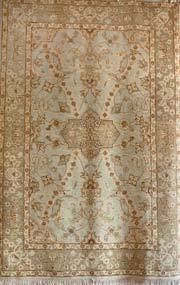 This Classical Chinese design was produced by Turkmen weavers in Afghanistan in shades of blue-green and beige. SKU: 258. Category: Classic Traditional. Tag: 10' Runner.